1: Read eligibility requirements for breweries. 2: Read this entire page before applying online. You will not need specific beer entry details for the application; that’s all part of the beer registration process (July 2 – July 11). Company BA Member Number: located on the mailing label of the guidebook that was mailed to you (note: this is not the same as an individual BA number, assigned to any individual, but the main number for the company itself). Valid BA Roster Email Address and Contact info of the person who will be handling all GABF-related items for your brewery (a.k.a. your brewery ninja). This person must be connected to your company’s Brewers Association membership roster (If it’s not in the system, the system won’t recognize you). Brewery of the Year category: based on 2018 barrelage. Multiple locations? see this Brewery of the Year info on why you should consider the new Brewery Group of the Year category! Brewmaster/Brewery Team name: individual(s) (up to 2) or a team name you’d like to recognize if you win Brewery of the Year. Festival booth: Check the box to indicate having interest in having a booth at the festival (Brewers Association members only, a booth is not guaranteed). “Extra credit”: Indicate interest in other aspects of GABF such as Meet the Brewer and Paired @ GABF. Number of Competition Entries: How many beers you hope to enter in GABF competition (for planning purposes only, number requested is not guaranteed). Non-exclusive License Agreement: Read and understand the GABF Non-exclusive License Agreement fully. This outlines how your brewery may use the GABF trademarked logo and name in the event of a medal win (on the Promote Your Win page). Application fee (non-refundable): $160 for BA Members / $385 for non-members is due with application, and covers the cost of the first competition beer entry. Credit card only, no checks. 2019 GABF Brewery ID: After you complete your application, you’ll be assigned a numeric GABF Brewery ID number. Keep track of this number, as you’ll need it for all things GABF. (Only open to breweries who completed the online application). This is where you tell us the beers you want to enter into the GABF competition and which categories they’ll compete in. If you miss this deadline, you may lose your spot in the competition or the option to enter certain beer style categories, and your application fee will not be refunded. NEW! All registered GABF Beer Brand Names must comply with the BA Advertising and Marketing Code. Planning on entering a GABF Pro-Am beer or Collaboration Competition beer? You’ll do that here too! See more details on the Pro-Am Competition and learn more about the Collaboration Competition. 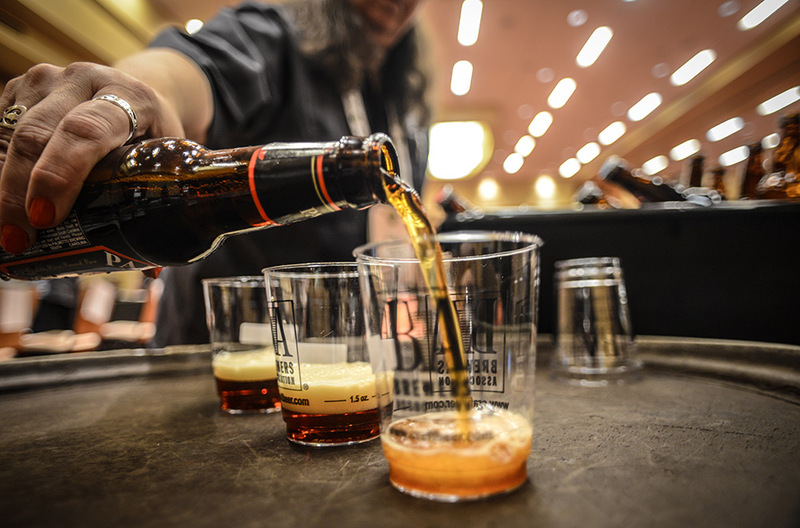 IMPORTANT: GABF category and subcategory numbers, descriptions and styles change every year. Review the category list carefully to identify the appropriate categories for your entries. It is imperative that beers are entered into the proper GABF category and subcategory since judges evaluate beers exclusively on the basis of these descriptions. Explore/Update BreweryDB.com (before June 26): When registering online, you’ll be able to select from a a pre-populated list of your brewery’s current beer offerings, as listed on BreweryDB.com. If the beer you’d like to enter is not shown in this list you may choose “other” to manually enter a new brand. Style Builder: For categories requiring additional specialty information for judging, you’ll be able to select from various base beer styles, brewing processes, and container information (barrel-aging, etc.) to supplement your entry for judging. If you prefer, you can simply type your specialty information, which will be reviewed. Having trouble with the style builder? From within the Style Builder window, use the blue text labeled “click here” at the top of the window to manually type in the info you’d like. Keep it simple: when entering beer with ingredients such as fruit, vegetables, spices, chocolate or others, avoid words like extract, purée, fresh, all natural, artificial, concentrate, frozen, or canned; just indicate which ingredient is used. For example, both “fresh raspberries” and “raspberry extract” would be indicated simply as “raspberry”. Extraneous words are removed from your description and are not provided to the judge panel. “Identifying” ingredients: Do not specify any regional information that could compromise the anonymity of your entry. For example, “Arizona wildflower honey” should be listed as “wildflower honey”. Pouring preference: Be sure to indicate pouring instructions for each entry. Your choices are “Quiet pouring – Do Not Rouse” and “Rouse Yeast Intentionally”. If you do not specify pouring instructions, a default value of “Quiet Pouring – Do Not Rouse” will be used for your entry. Pouring instructions found in our database, as entered during registration and/or provided during confirmation, take priority over any markings/request made on actual GABF bottles or cans submitted for judging. Confirm your entries: Once you’ve entered and paid for your beer, you’ll see the confirmation page showing all of your entry info. Give it a good once-over. Good, now check it again. Everything look good? Okay, just confirm it and you are on your way to the GABF competition! Tell us what beers and who you’re bringing to the festival! “Competition Only” breweries are also able to purchase badges for the festival at this time. Here’s how it works. Select up to five beers you plan to pour at the festival (Featured Brewery Endcap Sponsors – up to 10). It is not required that you pour the same beers you entered in the competition, but it is very much preferred so festival-goers may try beers competing (and potentially winning) in the competition. Indicate which formats you’ll send and use for GABF (bottles/cans or kegs on draught). If sending draught, indicate if you’d like GABF to provide draught equipment and if you need MicroStar kegs sent to you (if you’re not already a MicroStar client). See MicroStar Keg program details here. Order your festival brewery representative badges and purchase more if needed. *Booth selection: Based on the number of breweries that are interested in a booth at the festival, it may be necessary to assign festival booth spaces via lottery. If a lottery is required, it will be conducted by region. Choose your drop-off point: pick the one closest to you, or choose to have them go directly to Colorado. Tell us what you’re pouring: While we prefer that you bring the beers you entered in the competition to the festival (attendees love getting to try competing – and potentially winning – beers), we understand that’s not always possible. Choose from your competition entries or opt to bring alternative beers here. What format are you sending? Let us know if you plan to send bottles, cans, or refillable stainless steel kegs or single-use disposable plastic kegs (no other keg formats accepted), as well as how much of each beer you’ll send. MicroStar: If you are a current client, please note that you’ll be sending your own MicroStar kegs. Or, if not a client but requesting kegs, just note that you’re requesting to be sent MicroStar kegs and be sure to note an appropriate shipping address for kegs if different from the brewery address listed on your application. The vast majority of breweries do well with about two 1/6 bbls or one 1/2 bbl per brand, or 5-7 cases per brand, but breweries are allowed to send more beer or request additional kegs if they have previously run out of beer. Breweries requesting additional kegs must do so via email to Chris Williams at Williams@BrewersAssociation.org no later than July 26. Endcaps: One 1/2 bbl per brand or equivalent volume (three 1/6 bbls, etc.) is fairly standard, but up to the brewery. MicroStar: with the exception of Meet the Brewer & Endcaps above, all breweries requesting MicroStar kegs will recieve two 1/6 bbls per brand. Draught Beer Tapping Options: The Great American Beer Festival ices, taps and pressurizes all draught beers sent in Sankey kegs. Kegged beer may only be send in refillable stainless steel and single-use plastic kegs. The majority of breweries take advantage of our tapping service. If you choose to tap the beers yourself, you must provide all equipment necessary (faucets, taps, lines, CO2, etc.). The GABF provides keg containers and ice. The festival is not able to accommodate any Hoff-Stevens, Golden Gate, Cornelius or KeyKeg kegs (unless proper coupling is provided). Want us to provide the equipment? Just choose “GABF to Tap” and the GABF is happy to provide a draught system as part of your participation, including a tap tower (up to 5 taps) and CO2 (no nitro). Or, if you plan to bring your own, just choose that instead and GABF will only place the kegs and ice at your booth, leaving the rest to your team. Get your badges: Festival booths come with 4 complimentary Brewery Representative badges (Meet the Brewer comes with 7). Breweries only participating in the competition do not receive complimentary festival badges, but may purchase up to 4 during this stage. The refund deadline for cancellations for badges, booth, beers, etc. is Thursday July 26. Double check your brewery info? Indicate if you want a booth at the festival? Indicate if you would like to participate in the Meet the Brewer and/or Paired program in the festival? Carefully read and sign license agreement (by checking the “I Agree” box)? Keep a record of your newly assigned 2019 GABF Brewery ID? (You’ll need this for everything – commit this to memory). 3. Complete the online Competition Beer registration form by July 11. Enter a Pro-Am beer, if applicable. Enter a Collaboration Beer Competition entry, if applicable. Confirm your information after completing your beer registration. Once you complete your beer registration, you’ll see a confirmation of your entries. Review all of the information carefully. Should you need to change anything, simply log back in with your GABF brewery ID (found on your confirmation page). 4. Complete the online Festival Booth, Beer & Badge registration form (if applicable). Choose the drop-off point for your festival beers. Request MicroStar kegs (if applicable). Assign your badges and order extras if needed. 5. Ship competition entries. These must arrive between Monday, Aug. 24 and Friday, Aug. 30. 6. Prep your festival beers for drop-off. Label your kegs with the provided festival tags. If using MicroStar kegs that were sent to you: wash and fill them with your festival beers. 7. Deliver festival beers to your designated collection point. Festival beers must arrive to the collection point during the specifed drop-off days for your chosen drop-off point. Actual dates will be sent in late August. No-charge invoices must be included with this shipment. 8. Attend the Great American Beer Festival. Festival dates are Thursday, Oct. 3 – Saturday, Oct. 5. Woo hoo!